Before the advent of indoor plumbing at the turn of the 19th century, it was necessary to build a privy in one’s backyard. In cities and towns, these pits were dug extra deep so the homeowner could also dispose of their non-combustible trash such as bottles, ceramics, etc. These now abandoned pits are located with the use of old property maps and a homemade t-handled probe. 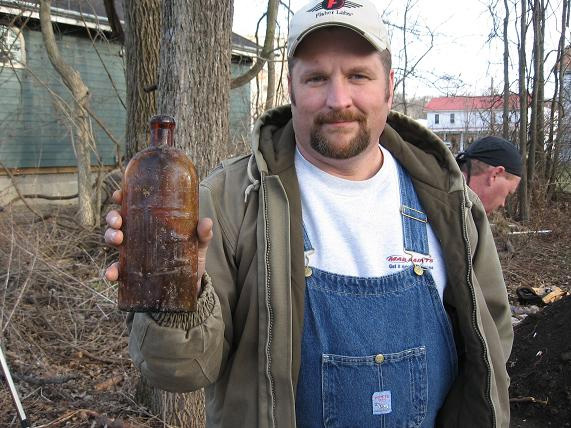 The bottles and ceramics that were tossed out as trash over 100 years ago need not be lost to the ages. 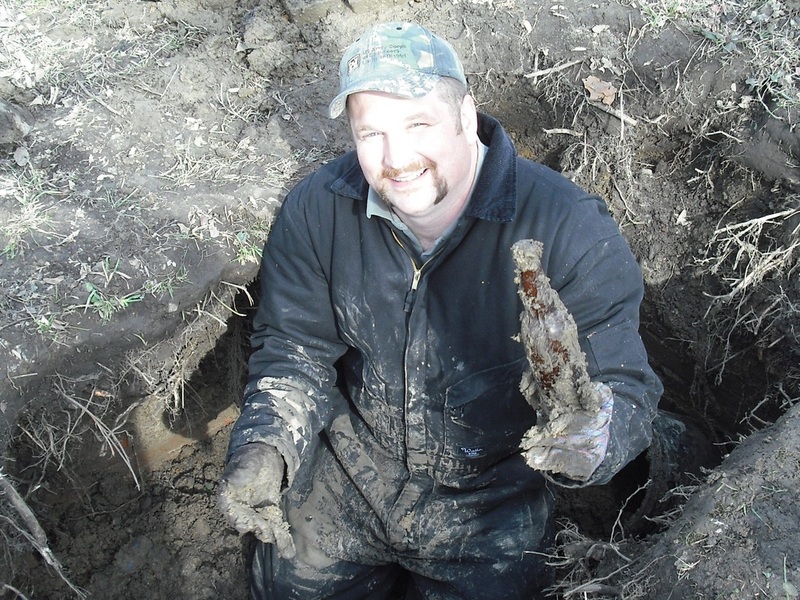 The Dayton Diggers can safely recover them without damaging lawns, guaranteed. We have dug numerous privies in East Dayton, Cincinnati and surrounding suburbs. Tarps are laid around the dig site, and the sod is cut and laid off to the side. We use shovels to remove the dirt following the old walls of the hole. These walls were lined with stone, brick or wood. After we’ve completed the dig, the process is reversed. The hole is filled and the sod is replaced. 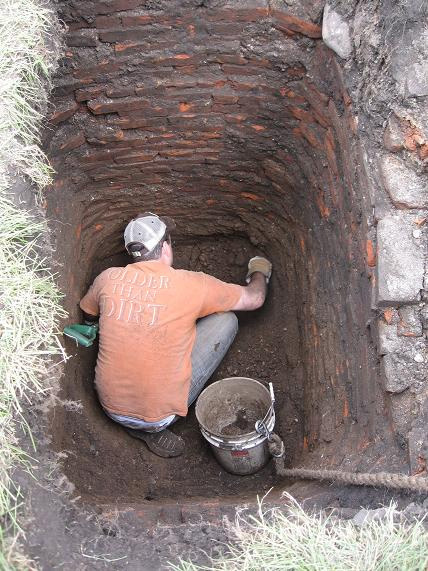 If you live in a pre-1900 city home in Dayton, Miamisburg, Xenia, Tipp City or anywhere near the Dayton area and would like to see what lies buried, long-forgotten in your backyard, please contact us.